Upon being offered a new job opportunity, you may decide not to accept it. When you make this determination you are either declining the job unconditionally or are open to further negotiations. 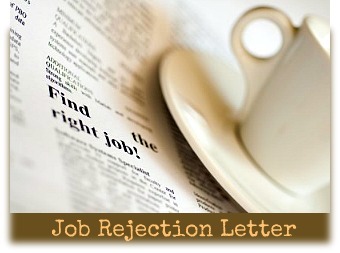 A job offer rejection letter communicates that you are not interested in the position or are open to further discussion. In the latter case, you can outline specific terms more favorable to you. The following letter is a very good example for Declining an Offer but still tries to leave the door open for the future. The following is a very good example of a letter declining an offer but still tries to leave the door open for the future. I want to thank you sincerely for the three interviews we have just completed. In each step in the interview process you have been graceful and forthcoming with answers to my questions and professionally demanding in the questions you have asked of me. Your offer yesterday of the position was received quite favorably. As we discussed during each of our meetings, I have been in similar discussions with another organization. Kansas Healthcare Systems(KHS)has made a decision to enter the Colorado Springs market with a special product that has little interest to Roth Medical Supply. After a great deal of thoughtful consideration, I have elected to accept a position as Sales Manager with KHS and must respectfully decline your most generous offer. I want to sincerely express my gratitude for the professional way you handled all of our dealings. At this point in my career I believe it is in my best interest to accept the position with KHS because it offers greater opportunity for financial rewards. Because KHS will not be a competitor of Roth Medical Supply, I would like to keep in contact with you professionally since we both understand that there are also greater risks associated with accepting the position with KHS. I know that had I accepted your offer, we would have had an excellent professional relationship and I hope you are successful in finding a qualified candidate for the position as anyone should be honored to work for your organization.